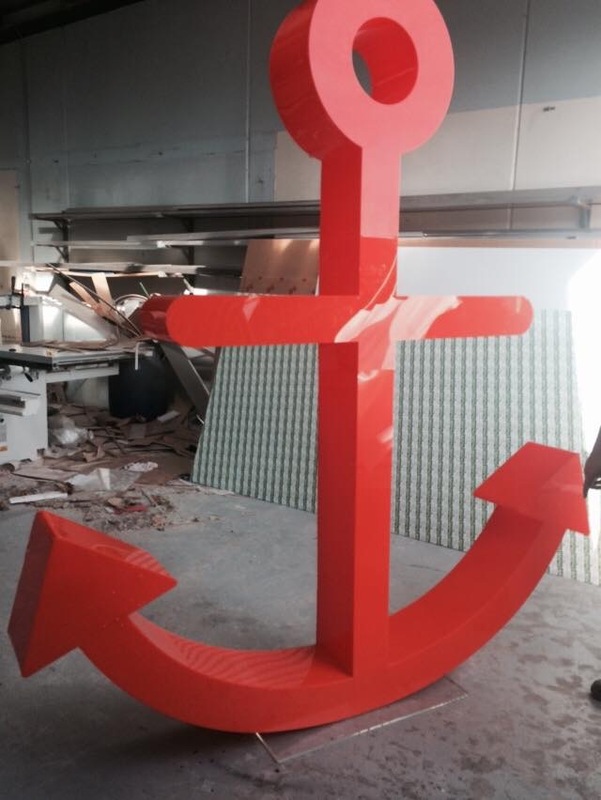 If it’s a special customised piece, a tradeshow display, a school project, a hobby item, Showcase Plastics & Displays can custom create it for you. 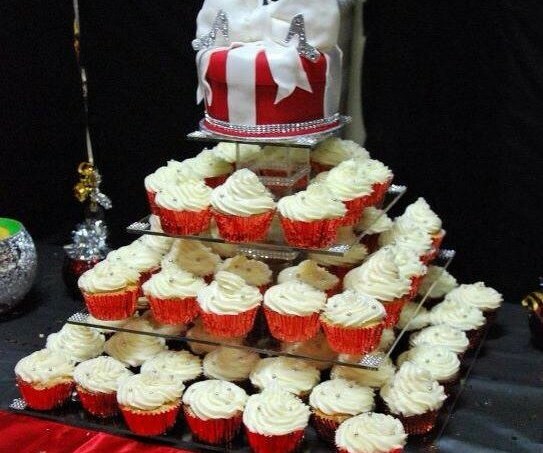 Often asked to make customised cake platters, any size, and round, square or other, we have done many to order. 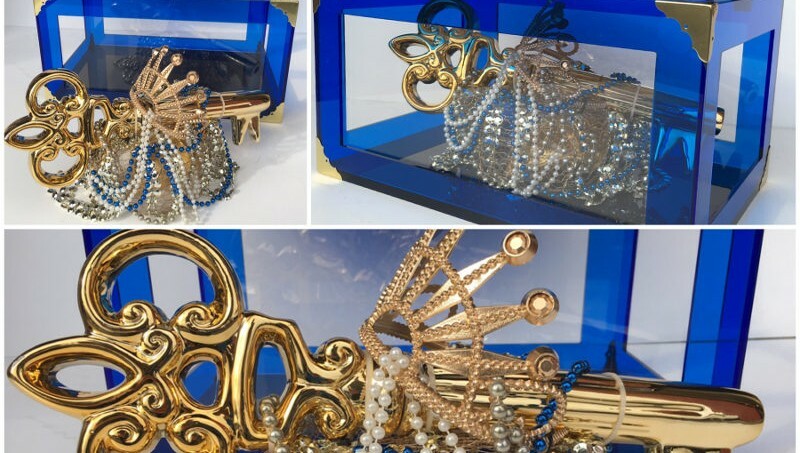 Cake businesses are the regular orderers, I n one offs and also in multiples, we are happy to manufacture these to your specific sizes- ignore the 'standard' and go for the 'bespoke'. "It was amazing! absolutely perfect. We had ordered it and it was turned around within a fortnight. I'd purchased overseas, but the quality of this was over and above what I'd had. Many others are going to be ordering these as they were very impressed" J. Taylor. 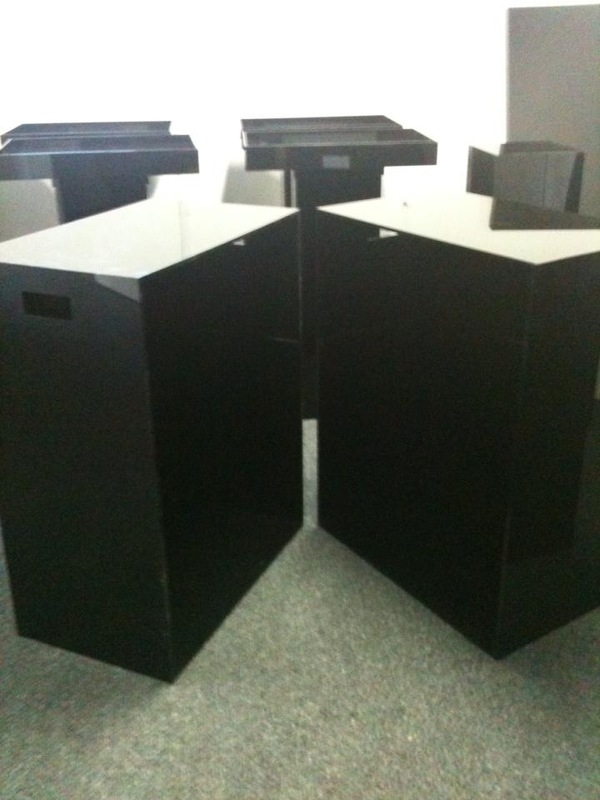 We can manufacture to most shapes and sizes to suit your needs. 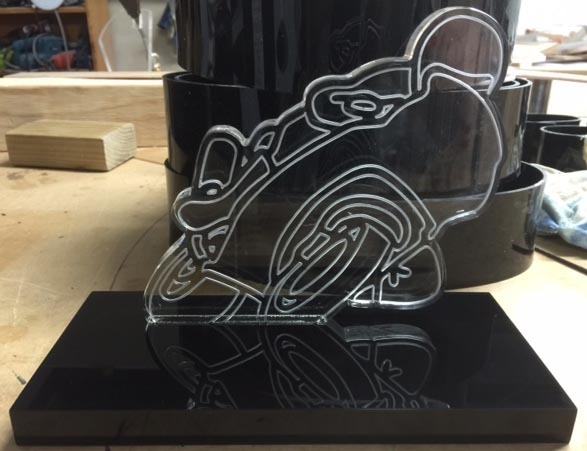 We work with cast acrylic and sometimes get asked for Perspex TM, this is an actual brand, certainly more costly as you pay for the name. This is a Perspex brand, electric blue strip heated and bent to make these box/shapes. 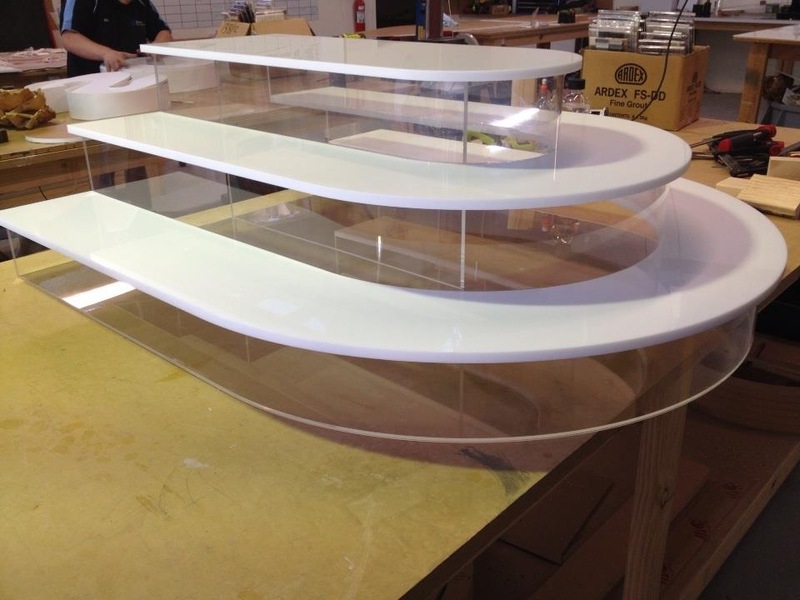 Custom made displays such as this tiered, elevated display out of acrylic and white expanded PVC, easily managed with curved shape by the use of our CNC router. 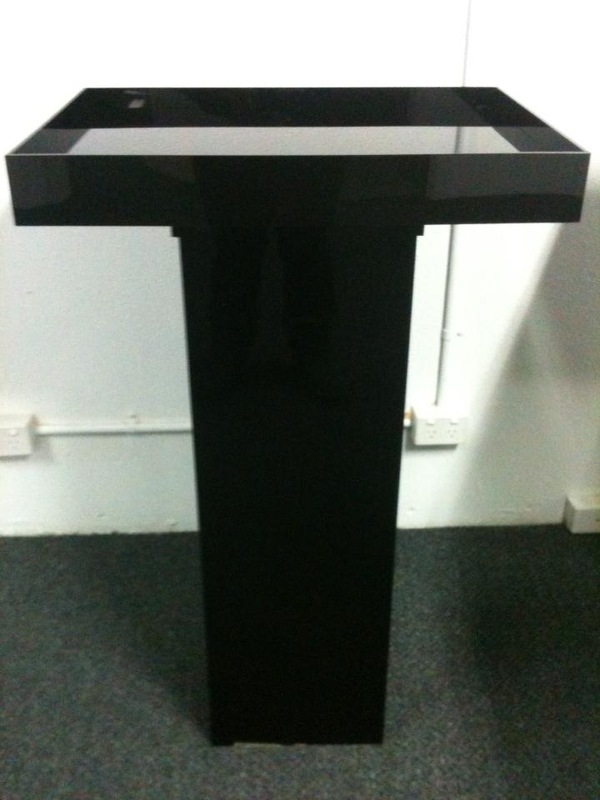 Also the lecterns in black acrylic that were made for use at Crowns Gold Class for an event. These had a removable black cover to slip over two at a time turning the trays into a flat surface. We have made many custom products, the strangest of which was a coffin, and one of the nicest was this anchor. 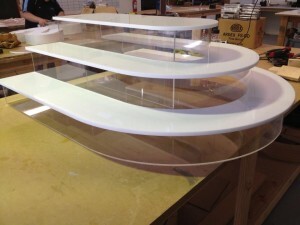 We just need a plan and specs and many things can be done with acrylic and Perspex. Maybe broaden your horizons, logos don’t have to be in the most basic forms. 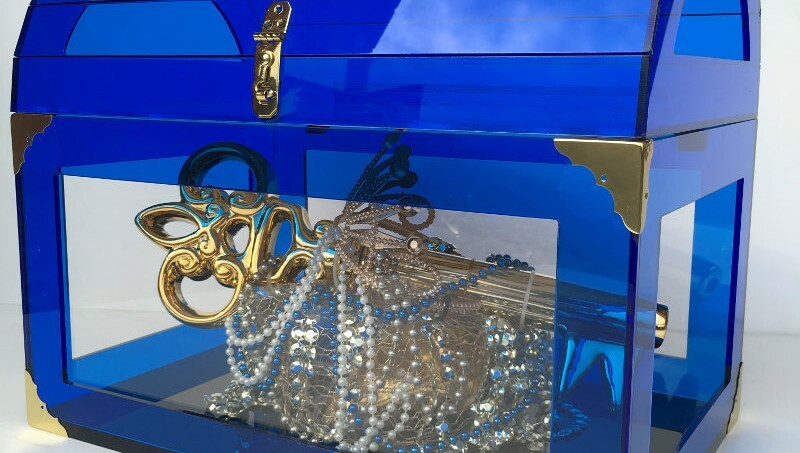 Showcase pieces, bespoke or a run of something are all possible. Email us for a quote some time soon. An acrylic display cabinet made for The Cake Stop in Beaconsfield, we do get asked for 1 and 2 metre cabinets often, but each is customised of course. Ice cream cone holders being made for Cold Rock. 3D Polar bears may be white- but when they are customised and illuminated, "pink is the new white"
2 Waterproof acrylic trays made from a limited 20mm Blue 304 tint. For a corporate function, in corporate colours.